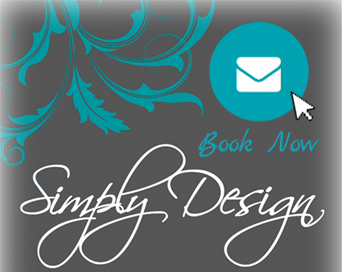 Simply Design offers interior Design consulting and Renovation Support to residents of Barrie, Muskoka and the Georgian Triangle as well as the York Region area. Simply Design's 20 years of experience will help you have a space you love! Working with a designer will save you time and money. By creating a plan for your renovation, you'll have a guideline to keep you on budget, on schedule and you will end up with a space perfect for you and your family! Hiring an Interior Designer is not an extra expense! Simply Design saves clients time and money by keeping their renovation project on schedule and on budget. Book Now! Not Sure Where To Start? Simply Design helps with kitchen renovations, interior design ideas, basement renovations, out-door living spaces and small offices to keep you organized and comfortable. Like To Do It Yourself? Working with both DYI'ers and homeowners who require someone to do the work for them, Simply Design works for their clients and with them to ensure their vision for the space becomes a reality. Don't Have Time? Renovations can be overwhelming. Simply Design gives busy homeowners the assistance they need for functional spaces that reflect their personal style. On A Tight Schedule? Simply Design is considerate of their clients wants and needs and will create a plan that keeps their renovation on track, on schedule and on budget for any project big or small.